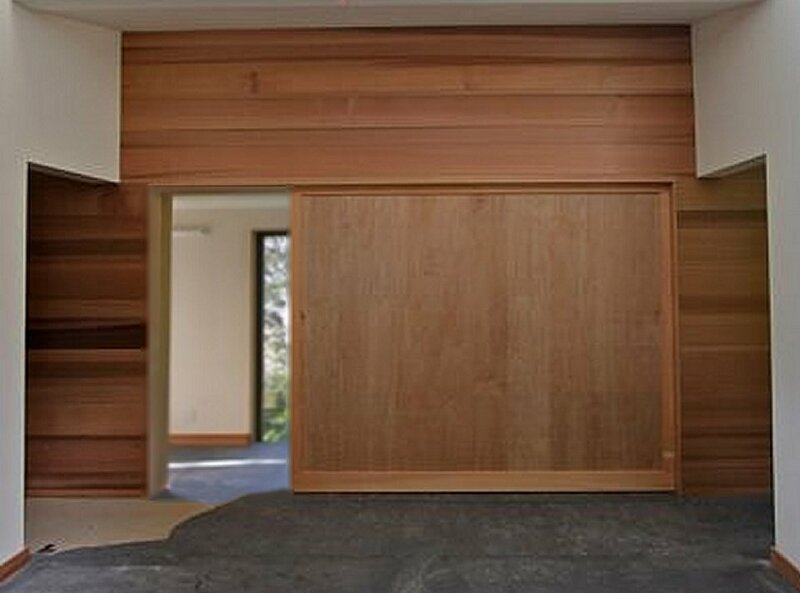 No other Eco-friendly lightweight sliding door is lighter in weight and stronger than lightweight sliding doors by large sliding doors. 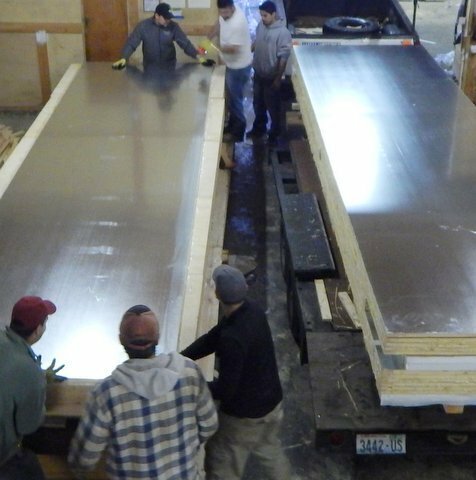 We use a patented lightweight sliding door composite substrate made of vertical grain torsion box and rigid foam to form an insulated solid lightweight sliding door that is stronger than steel (660 PSI) pound for pound. 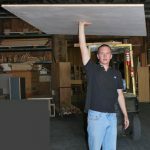 The insulation provides climate control (R3.5-R6.5, compared to solid wood at R.71 to R1.4 per inch) and sound dampening noise reduction. 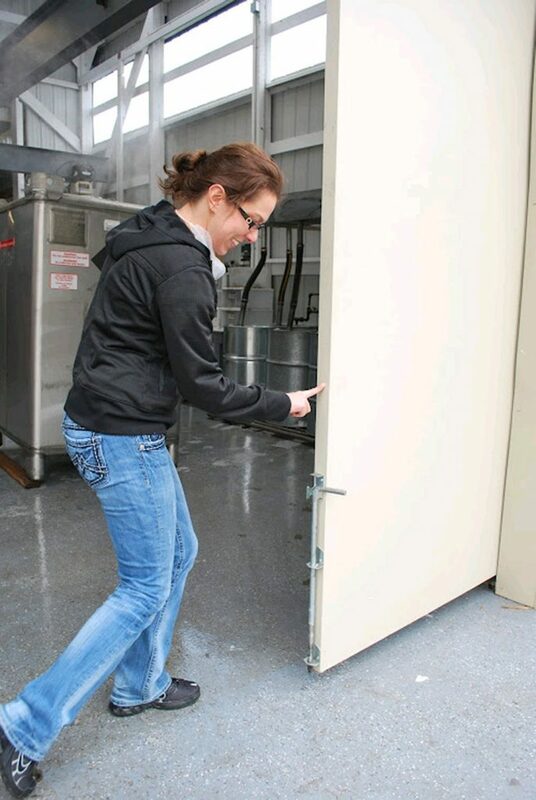 Compared to a solid large sliding door weighing-in at 1,100 lbs., our lightweight sliding door weighs only 90 lbs. 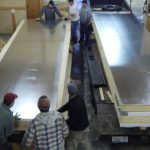 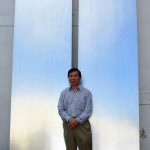 and can feature any available flat exterior material, such as any wood species, aluminum, brass, cold rolled steel, concrete, copper, fiberglass, FRP, galvanized steel, glass, hot rolled steel, HPL, Kevlar, LVL, MDF or stainless steel, just to name a few. 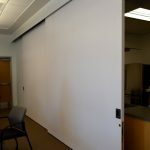 Lightweight sliding doors by large sliding doors are manufactured to architectural specifications, being made of any specified materials to meet stringent high performance standards, including low volatile organic compounds (VOC) and unique design characteristics, which may include specific sound deadening. 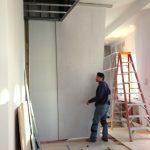 In the event that sound penetration specifications are necessary, we have access to a local sound testing facility that can exactly rate the sound performance of a specified door design at the customer’s request and expense. 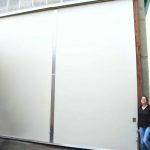 By far, the most popular lightweight sliding doors by large sliding doors are the oversized large lightweight sliding door. 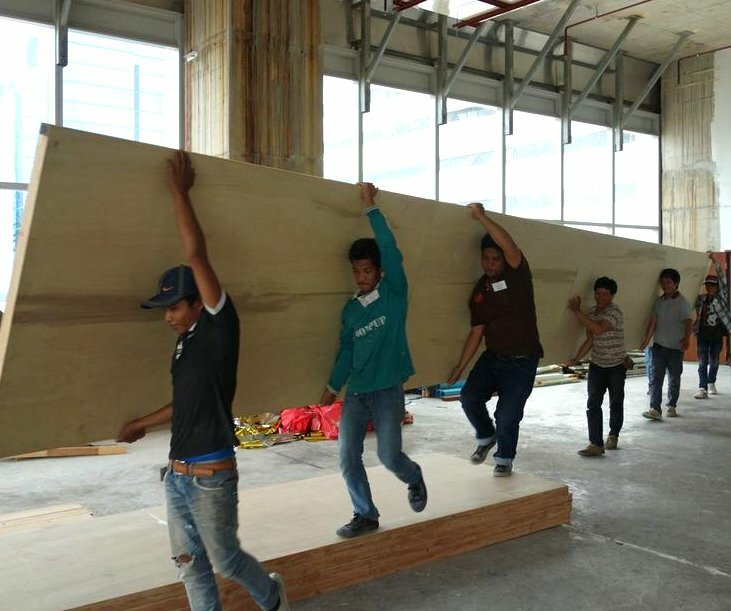 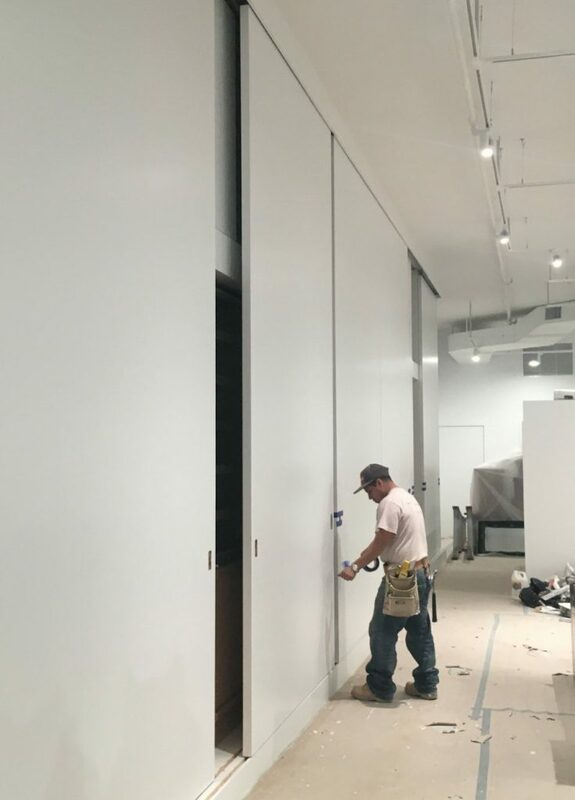 The light weight of a large sliding door is of primary importance because a large heavy door requires expensive heavy duty large sliding door hardware and regular use of a heavier large door being moved back and forth can cause added strain and stress on the structure resulting in regular and costly maintenance. 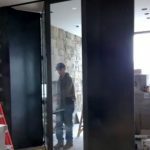 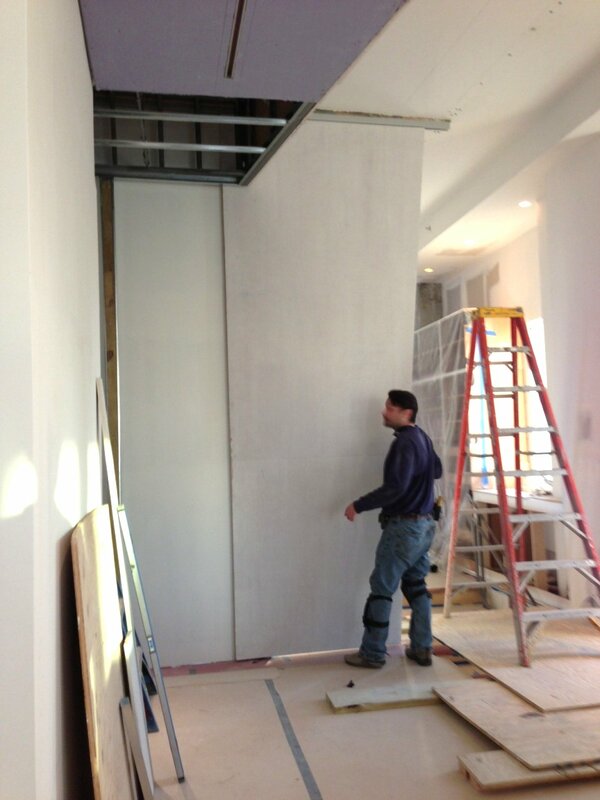 The biggest obstacle in creating impressive large sliding doors that may be envisioned by the architect or designer is that door warping is problematic in sliding doors over seven ft. tall and three-and-a-half ft. wide. 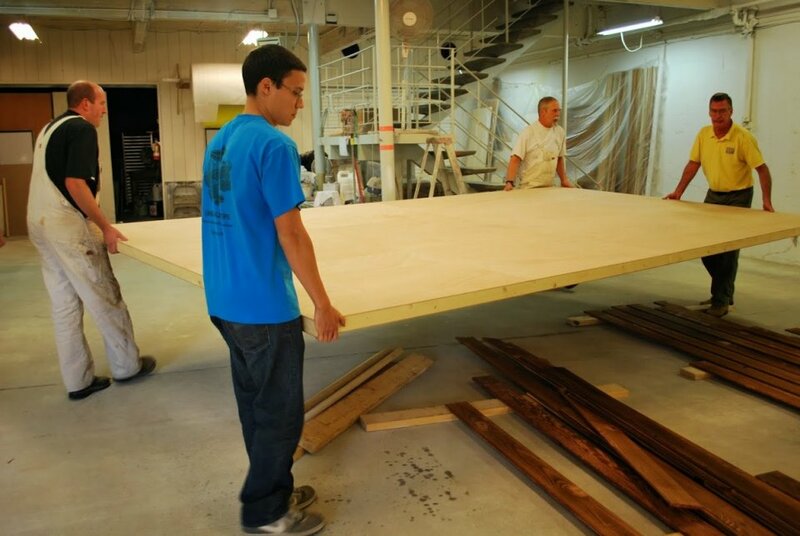 It is simply the nature of the natural material. 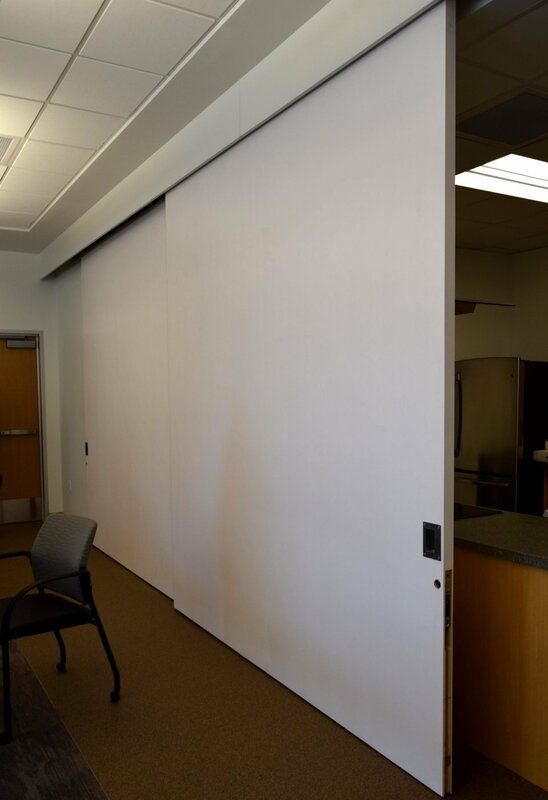 A warped large sliding door could easily become inoperable or create damage, if warped. 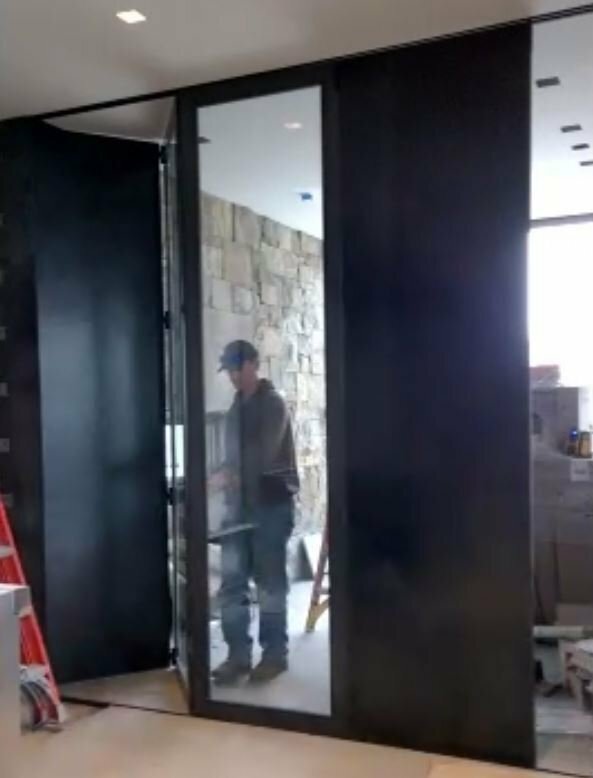 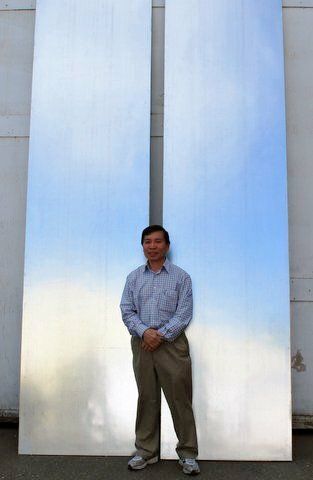 The warping of large sliding doors may be prevented by building the door out of steel resulting in a large sliding door that is so heavy it becomes impractical and potentially dangerous to use. We have a composite method of combining both the patented torsion box lightweight sliding door core with our patent pending warp-free technology to provide a high performance warp-free lightweight sliding door that can be guaranteed not to warp, bend, twist, cup or otherwise fail (including full structure guarantee) for 50 years. 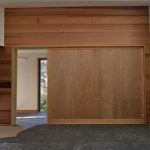 No other lightweight large sliding door can possess such a high standard of guarantee against warp or structure failure. 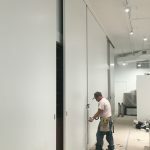 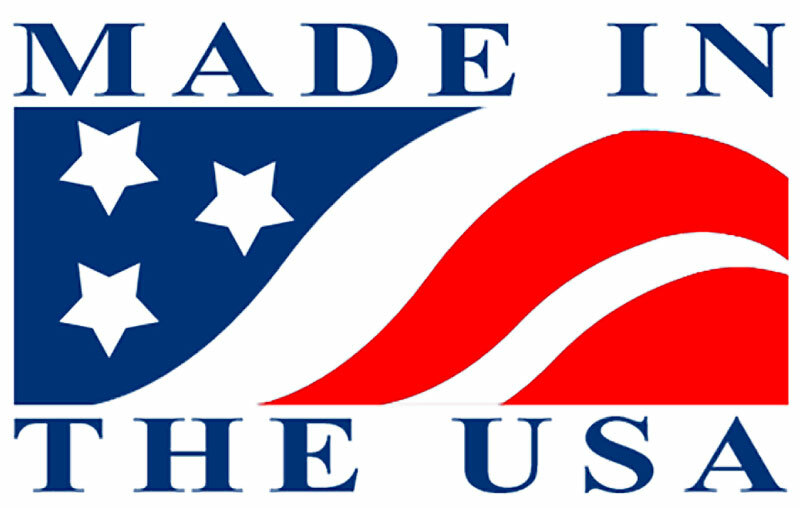 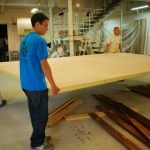 In fact, most custom door manufacturers and millworks are likely to exclude any large sliding door from any warranty that may cover the remainder of the project because, “all large doors warp,” unless they are certified warp-free for 50 years, like those which can be manufactured by Large Sliding Doors. 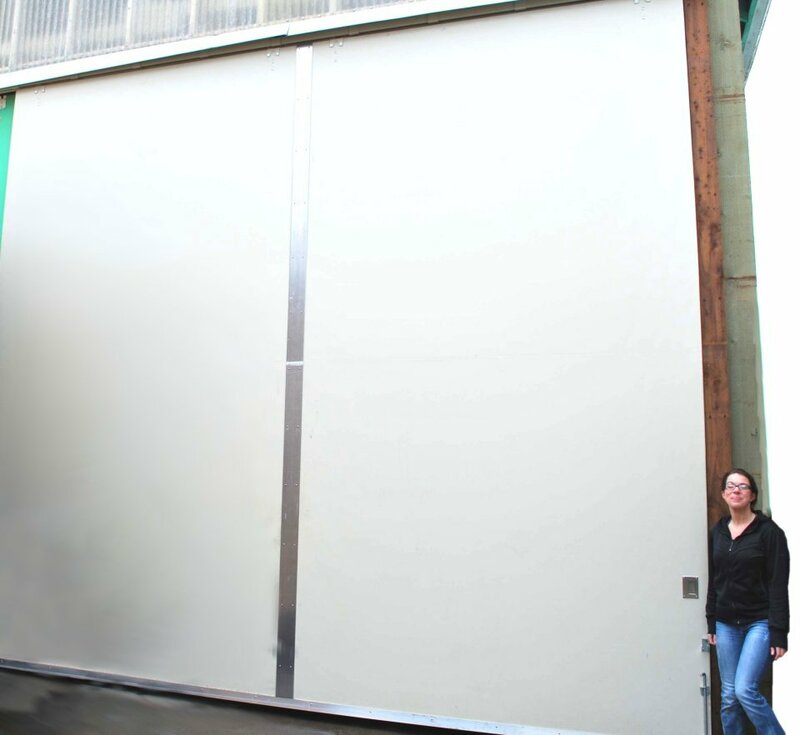 Contact us to open a discussion abut how we can help you achieve your desired results in your next lightweight sliding door project.